Bolt Minister and Charlie Hutchins Partner to Form 54°40' Brewing Co.
Bolt Minister and Charlie Hutchins Partner to Form 54°40′ Brewing Co.
A budding brewmance that began six years ago while Charlie Hutchins and Bolt Minister were brewing together at Rock Bottom in downtown Portland will once again be rekindled as the two form 54°40′ Brewing Co. 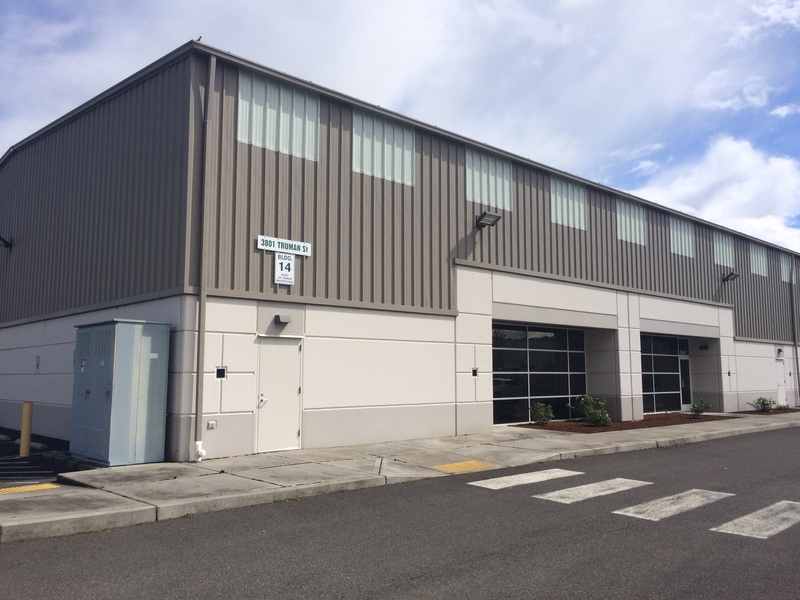 The new brewery will be located on the north side of the Columbia River in southeast Washougal, WA, inside the Port of Camas-Washougal. 54°40′ Brewing Co. will become the third brewery in Washougal, joining Amnesia Brewing and Doomsday Brewing to make the town know for being the “Gateway to the Gorge” an up and coming beer destination. 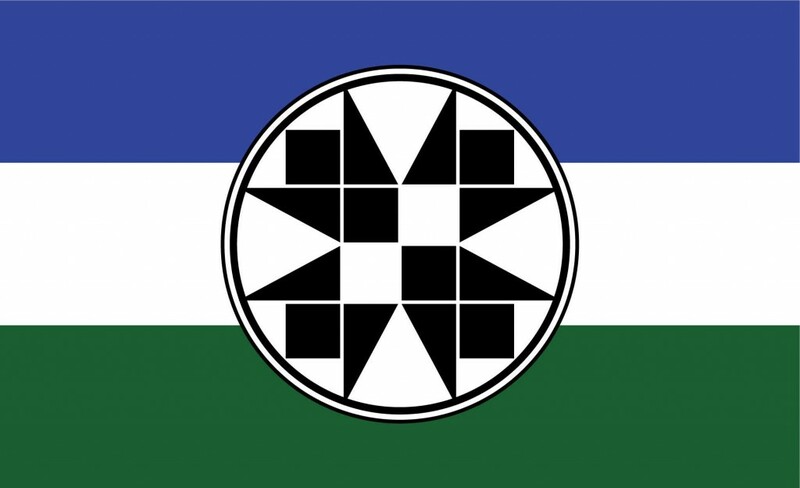 The 54°40′ part of the brewery’s name is more commonly known for its reference to the Parallel 54°40′ north, a boundary that was set that established the Oregon Territory. However this 54°40′ is also a reference to a quilt square. “The name is an outgrowth of our other appreciation of quilting”, says Hutchins. This same square is what makes up part of the 54°40′ Brewing Co. logo. The two would also like to invite the Clark County Quilters out to the brewery to feature a Quilting Night. Yesterday Hutchins officially gave notice to Kevin Reed, Director of Brewing Operations at RockBottom Inc., that he will be leaving the brewery where he has been for the past seven years. Beginning in February of 2008, Hutchins’ first three years at Rock Bottom were spent under the guidance of Van Havig before Havig parted ways with the company to open Gigantic Brewing. Hutchins plans on staying on at Rock Bottom through August to help his replacement, once hired, get on track to continue to serve downtown Portland some of its tastiest locally brewed beers. Minister joined the fray at Rock Bottom in the spring of 2009 and left in mid 2012. But during this time him and Hutchins built a solid friendship with one another that led them out on hunting trips and developed the vision to open of their own brewery one day. And now this vision is becoming a reality for the two. The two friends are very close and enjoy being with their families and wanted a location that would be closer to home, which meant being in Washington State. Minster states, “We compliment each others skill sets really well”. Then Hutchins chimes in, “Yeah I give a lot of relationship advise to Bolt”. Both of them have a great sense of humor, sometimes a bit dry but funny nonetheless. 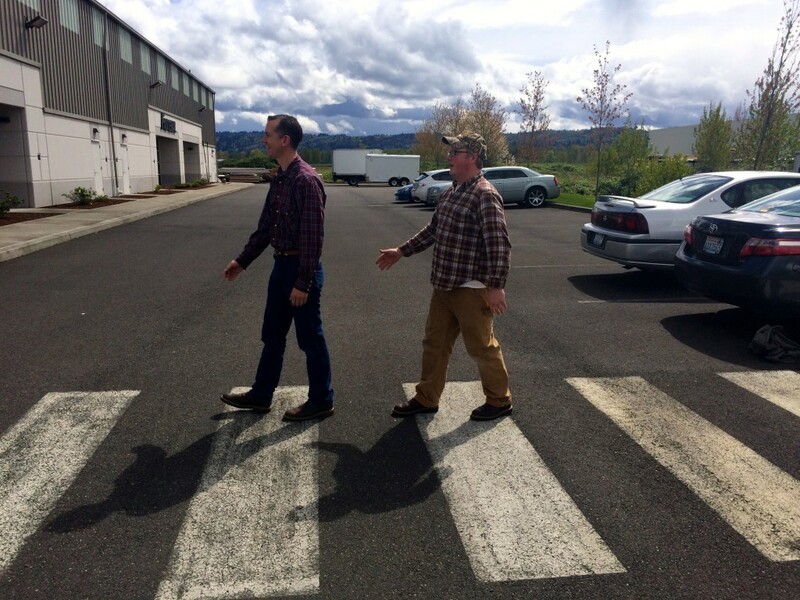 Bolt Minister and Charlie Hutchins of 54°40′ Brewing Co. Devise Plans to do an All Beatles Tribute Brewery. When Minister parted ways with his last brewing job at Old Town Brewing this past December, Brewpublic discussed this separation with Minister and what led to this abrupt departure along with finding out what is in store for the future. (You can read more about that interview here.) While at Old Town, Minister and his brewing team won two medals at the Great American Beer Festival in back to back years of 2013 and 2014 and then picked up two medals at the 2014 World Beer Cup. Not too bad for the young brewery. Since this departure Minister has been full speed at getting this new brewing project started. He secured his business partner and fellow brewer, Hutchins, and the pair also lined up a few other investors to get the brewery going. Now with Hutchins informing the brass at Rock Bottom, both can move officially move forward. The future home of 54°40′ Brewing Co. 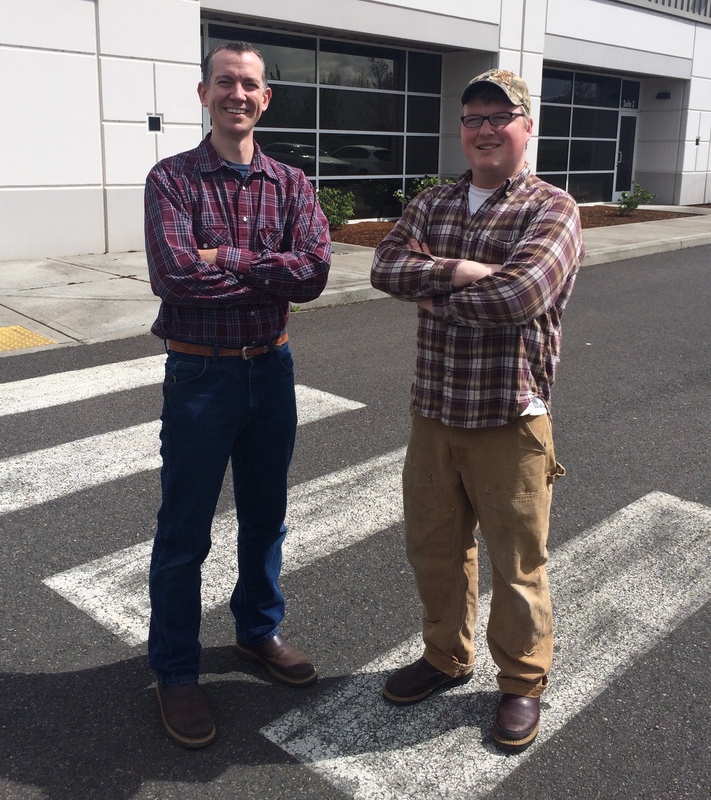 The next step was to find a building and to place an order for the brewhouse that can take up to a year for delivery. Once a decision was made the two went with a 15 BBL Brewhouse that is being built by Practical Fusion from Portland, OR. This will be complemented with an oversized hopback and three 30 BBL Fermenters and two 30 BBL Brite Tanks to get the brewery up and running. 54°40′ Brewing Co. is scheduled to take delivery of the brewhouse in early August that should allow them to have beer ready this fall in October if all goes well. After this time one will see its beers in both 22oz bottles and on draft. After speaking to both of them over the past few weeks they sound confident that Minister will be able to lead the build out of the brewery within the next week. During this time he will be the one dealing with the contractors to make sure the floor gets its trench drain, and the addition of the tasting room, office and restrooms. This building is currently totally empty. Inside the new 54°40′ Brewing Co. The space is a large one that has pretty much been untouched by the former tenant that stored some cabinetry in the 7,500 square foot building. This size along with the 26’ tall ceilings offers a nice large feel that also brings in a lot of daylight in the space. Moving on past the brewery itself the two envision brewing beers that appeal to a broad section of beer drinkers no matter what level they are at. The beers will be more on the balanced side. “We are going to make all kinds of beers but session beers are what we like to drink,” says Minister. That said the two also want to have a solid barrel-aging program. As Minister states, “A nice healthy barrel-aging program will be part of it” and then he goes on to say, “Charlie has the ability to blend beers like no other”. Hutchins goes on to say, “The barrel aging will be more for the entertainment value of it”. Once the brewery is in production the two will be opening a Tasting Room that will serve its 54°40′ Brewing beers alongside a cider and wine. Hutchins wants a “Nice healthy Tasting Room” while Minister emphasizes the importance of “We want to sit down with the folks while they all drink its beers. This way we can get an immediate reaction”. Their initial plan is to have the Tasting Room open Thursday through Sunday and expanding the days as business grows. Since both have families they definitely want the space to be all ages and the expansive parking will allow for a food truck to set up shop just outside the brewery’s doors. Looking further ahead the brewery will have outdoor seating beginning next spring. Minister wants to make 54°40′ Brewing a destination. The brewery is also in very close proximity to the Captain William Clark Park Trail that runs along the Columbia River that will give the brewery an attraction during the warmer months. 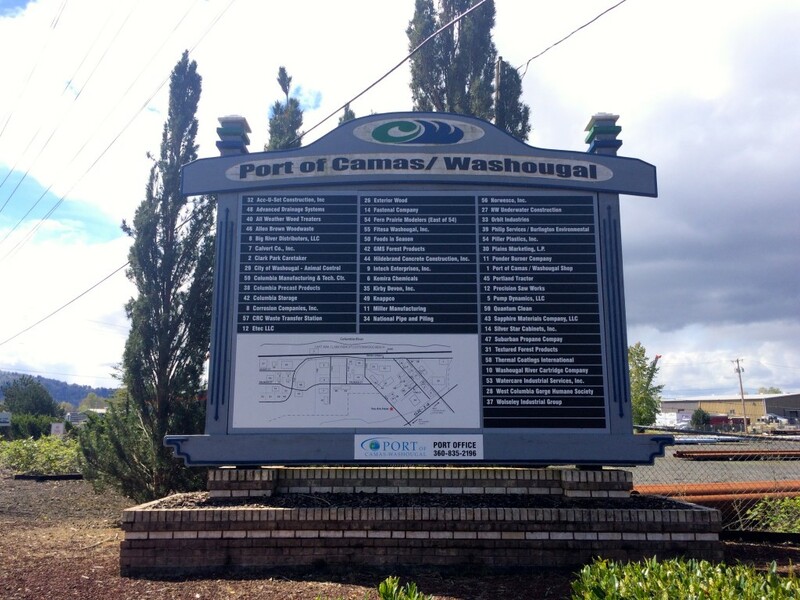 Port of Camas-Washougal, the home of 54°40′ Brewing Co.
Why Washougal? “The Port is very welcoming and excited to have us. The neighboring business Fastenal is very happy to see us moving in next door. Port will allow festivals and events to take place,” says Minister. “Washougal was very welcoming to us”. After visiting the location with the both Minister and Hutchins, this looks like an ideal spot for a production brewery and taproom. 54°40′ Brewing Co. with its close proximity to Washington State Route 14, this will be a great spot to stop off when venturing to or returning from the Columbia River Gorge. Washougal after all is the “Gateway to the Gorge”! We look forward to checking the progress over the next few months at 54°40′ Brewing Co. You too can by checking out the brewery’s forthcoming website and following the brewery on Facebook and Twitter. 10th Annual FredFest Returns to Hair of the Dog Brewing Co.